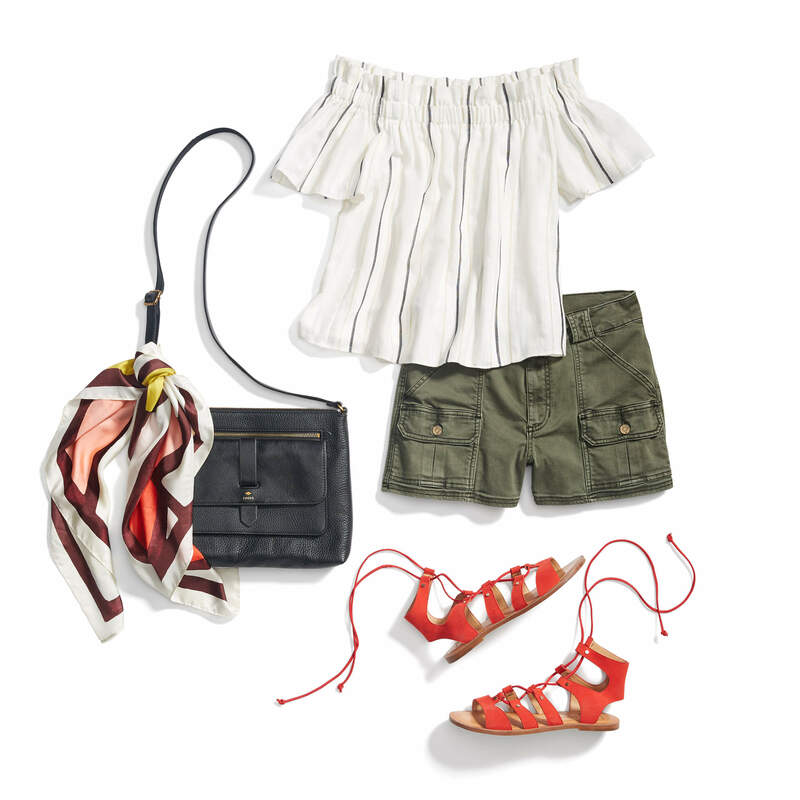 Summertime and the livin’s easy, (at least your wardrobe should be!). If you’re looking to stock up your closet with summer’s hottest styles, we have a few favorites in mind. From keeping cool with breathable fabrics to showing a little bit of skin (for that sunkissed glow), see our summertime shopping list! Keep scrolling to see our Stylist’s favorite picks for summer! Pick a frisky summer print outside of your usual neutrals for a carry-all that’s got it all: the room to fit gym clothes, beach towel, and anything else you can dream up for your summertime adventures. Ready to splash out in some juicy summer-worthy hues? 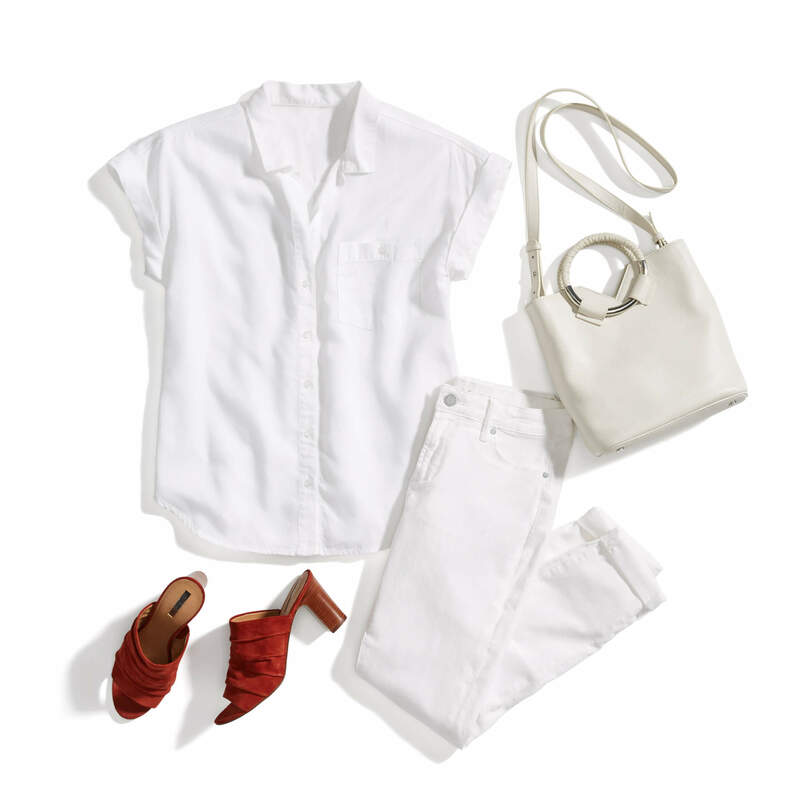 White jeans will keep you cool while looking cool, and will compliment any bold hue you decide to wear with it. Whether they’re classic denim cut-offs or printed and flowy, shorts never fail when it comes to an effortless summer outfit. Make sure to stock up on this leg-baring essential and pair your favorite short of the season with all the fresh tops you can stock your closet with. Casual, yet glamorous, your maxi dress is ready for literally anything your summer calendar has in store. Hosting a backyard BBQ? Go for your maxi! Attending someone’s graduation? Max it out! It’s the all-occasion staple for summer. These are just some of the summer trends we’ve have on our minds this season! See more summer essentials that we’re loving and be sure to keep it cool once the temperatures start to climb. —Stephania S. & Jennifer M.
What are your summer must-haves? Let us know!